Here’s a superb 2011 recording that’s getting proper distribution in the USA for the first time. Aziz Sahmaoui is a Moroccan native and French citizen who was a founder of the Paris-based multicultural ensemble Orchestre National De Barbes and later a member of Joe (Weather Report) Zawinul’s Zawinul Syndicate band. Sahmaoui is a well-rounded virtuoso who takes turns on at least a dozen different instruments on this solo debut, and he’s put together a band of mostly Senegalese musicians to explore the interrelationships between Moroccan gnawa trance music, Afropop, jazz and rock. They do some excellent work on traditional material (track 3 is a highlight); even better are Sahmaoui’s originals, especially the soulful “Maktoube” (two versions: 2 and 13), the chaabi-influenced track 6, and the smoking track 12. And the lyrics are just as compelling as the melodies, arrangements, playing and singing. 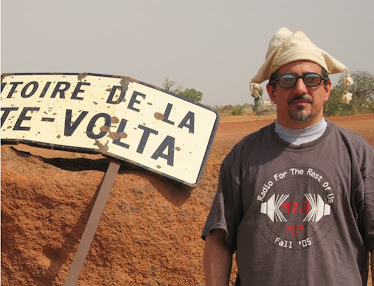 Producer Martin Meissonnier has worked with the best: Fela, King Sunny Ade, Khaled, Papa Wemba. 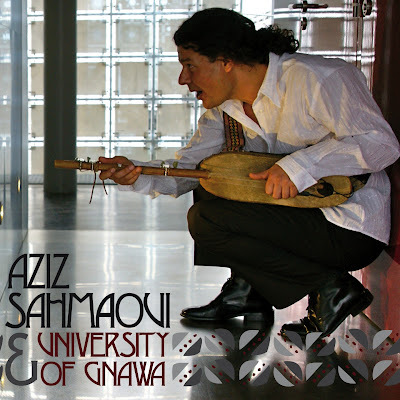 Aziz Sahmaoui isn’t in that league yet, but let’s check on that after a couple more albums.